Kings Sports proudly offers steel senior and training hockey goals. Our standard outdoor hockey goals are made from heavy duty galvanised steel and are custom made here in our workshop to comply with International and Australian standards. 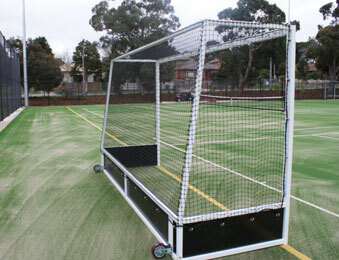 Kings Sports also offers training goals and portable hockey goals. With all products been manufactured in our warehouse no request is out of the question. So feel free to contact us with your enquires. NOTE: Training goals do not come with timber boards. Netting made to suit / give full coverage.